Since I had so many mommy duties this past week, not much sewing happened. I worked ahead on my #100days100blocks so each day I've just been posting the block picture on each corresponding day. I have been working on a new cross stitch project in the evenings when I go to bed. I love having cross stitch to work on before bed, because it relaxes me more than reading a book. This is the Trick-or-Treat Costume Club by The Frosted Pumpkin Stitchery. That is what I've been working on, now lets see some of the pretty things that were shared last week! 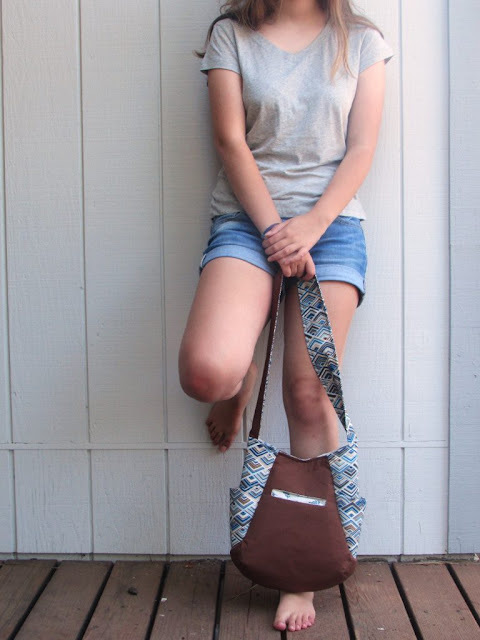 Bernie of Needle & Foot created this wonderful 241 Tote by Noodlehead. Last but not least, Teje of Nero's Post III shared a fantastic tutorial on how she creates her patchwork pieces. I want to start off by thanking everyone for joining me last week for the first Sew Cute Tuesday here on my blog :D you guys really know how to make a girl feel loved! Recently I have been working full steam ahead on my #100day100blocks using the Tula Pink City Sampler book and my Lizzy House stash. 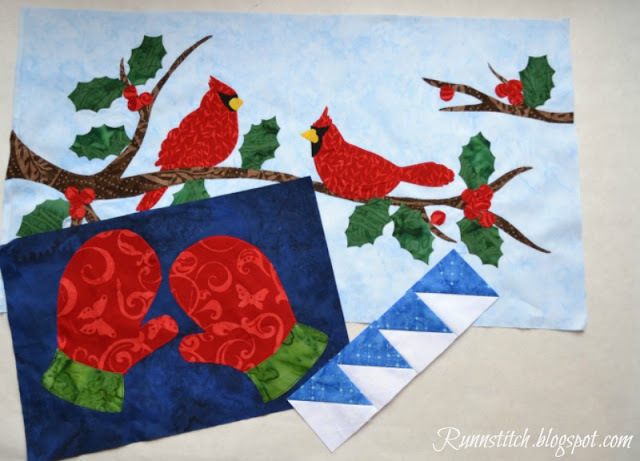 The sew along is being hosted by Angie at Gnome Angel, and you can get all of the details on her blog. Have you joined the fun? I am loving seeing everyone's different versions of the same blocks! 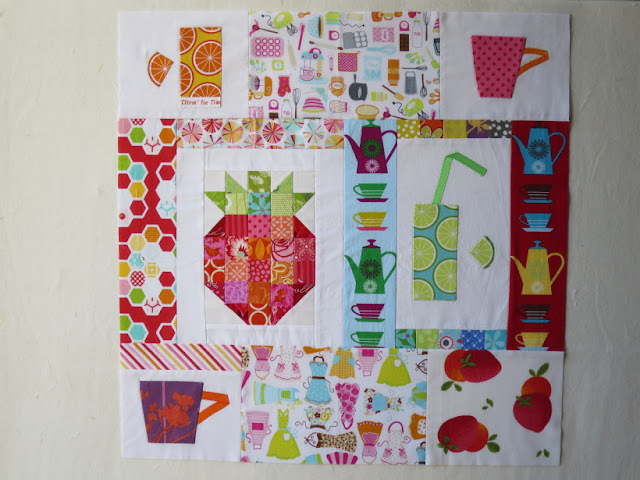 And now for some of the pretty projects that were shared last week for Sew Cute Tuesday! 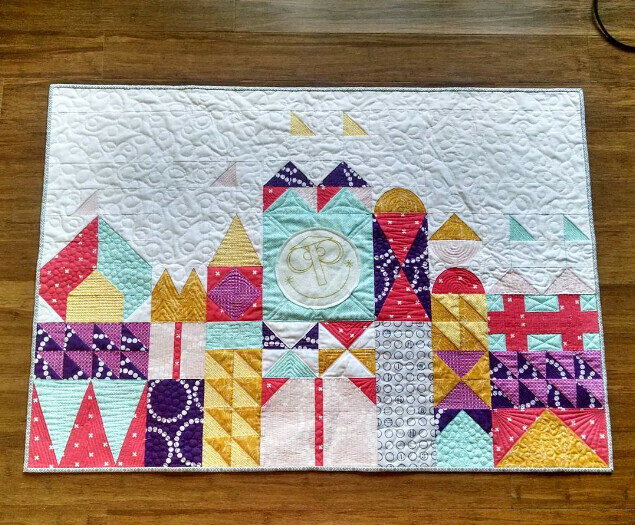 Laurie from Dresden Lane created this lovely & large quilt as a gift for her brother. Joy of Joy's Jots, Shots, & Whatnots is working on a memory quilt and is making these shoo-fly blocks out of an old house dress. And Katie of Good Golly Ginger finished this stunning Farmers Wife 1930s sampler with Liberty fabrics! 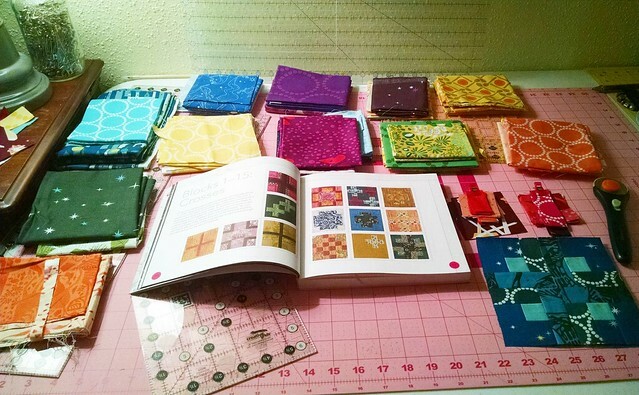 I am very excited about joining Angie of Gnome Angel for the #100Days100Blocks sew along happening on Instagram! 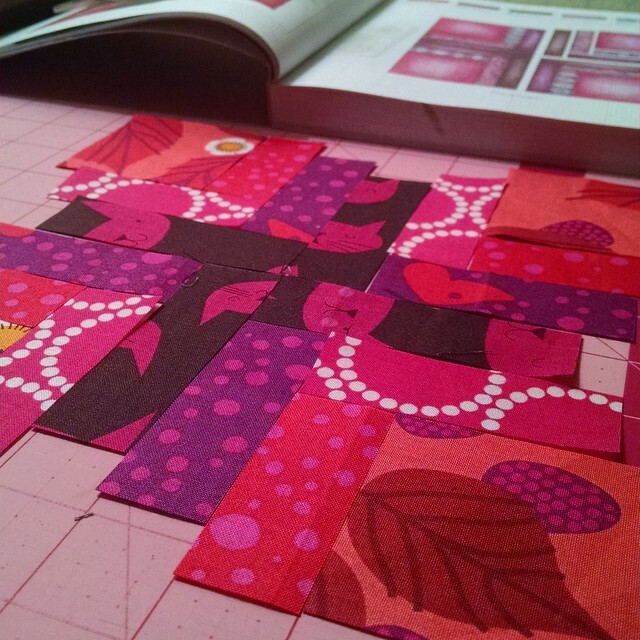 For the sew along, we'll be making the quilt from Tula Pink' s City Sampler book. There are 100 blocks in the book, thus the hashtag #100days100blocks. Today is the official kickoff, so if you want to join the fun, be sure to stop by Angie's blog to get all of the details on how to sew along. This is my first block for the sew along. I've decided to use my stash of Lizzy House fabrics to bring them to life! My goal is to keep the blocks as close as possible to the color of the blocks in the book. It's going to be interesting because Tula Pink and Lizzy House don't have many of the same color schemes in their collections, but thankfully Lizzy has the Pearl Bracelets basics that fill in most of the gaps. Block number 2 cut and ready to stitch. This one was fun to pull fabrics for, you can see that I got pretty close to the picture in the book. Block 1 in the bottom corner, blocks 2 & 3 are cut, and I've pulled fabric for blocks 4-15! Did I mention I am excited about this sew along? ;) I'm going to try and get as far ahead as possible since baby #2 is due to arrive smack dab in the middle of the sew along. Starting this sew-along has added another project to my ever growing WIP list but I love the ability to switch between projects. 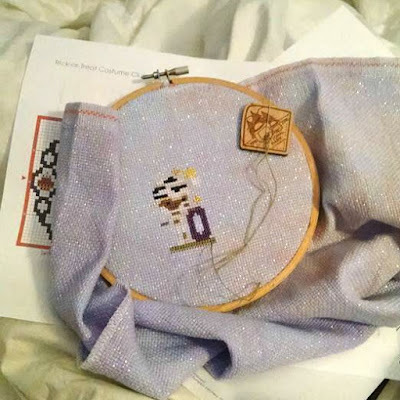 It's helps keep my sewjo active because if I get bored with one project, I can easily switch to another one. Do you like to work on multiple projects at a time, or do you stick to just one until it's done? I am excited to announce that I have inherited Sew Cute Tuesday from Alyce of Blossom Heart Quilts. I am really looking forward to hosting this linky party every week, and I hope you continue to enjoy it as well! If you're new here, my name is Hilary and I have been sewing and quilting for 14+ years. I am completely self/internet taught (thank you Craftsy lol) and I love learning and being inspired by others. I'm married to a wonderfully nerdy man, and we're about to welcome our second child this October. 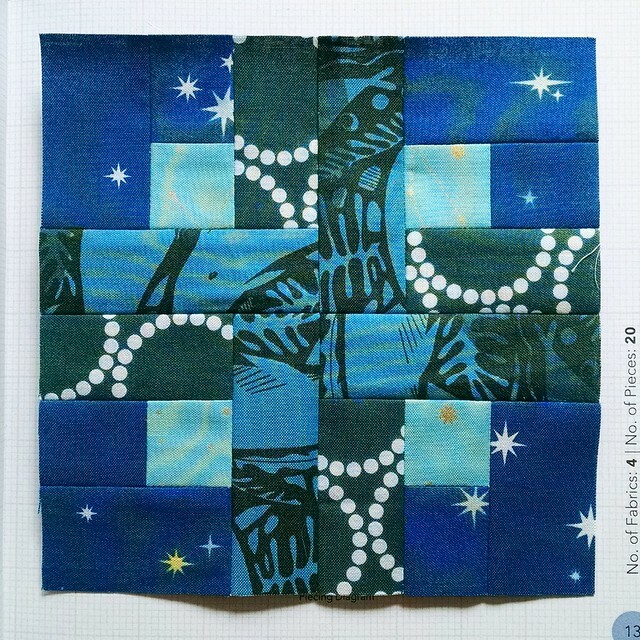 I would definitely consider my quilting style to be a good blend of modern and traditional. 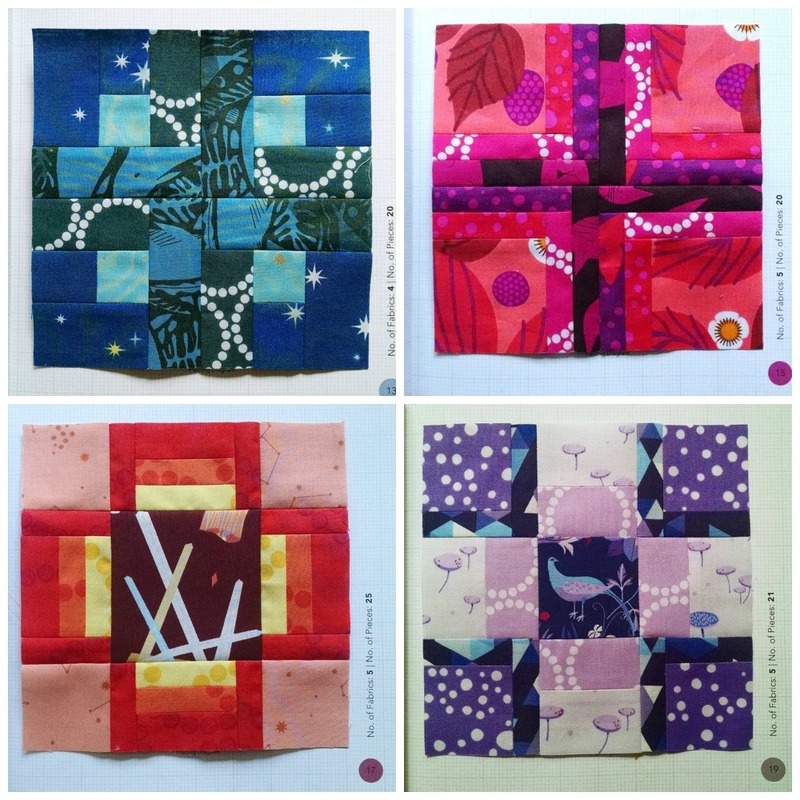 I love patterns by Thimble Blossoms & Cluck Cluck Sew, and some of my favorite fabrics are by Lizzy House, Cotton & Steel, and pretty much anything with bold bright colors! 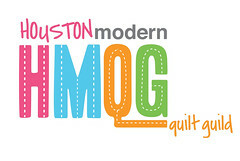 Below are two of my favorite quilty creations. 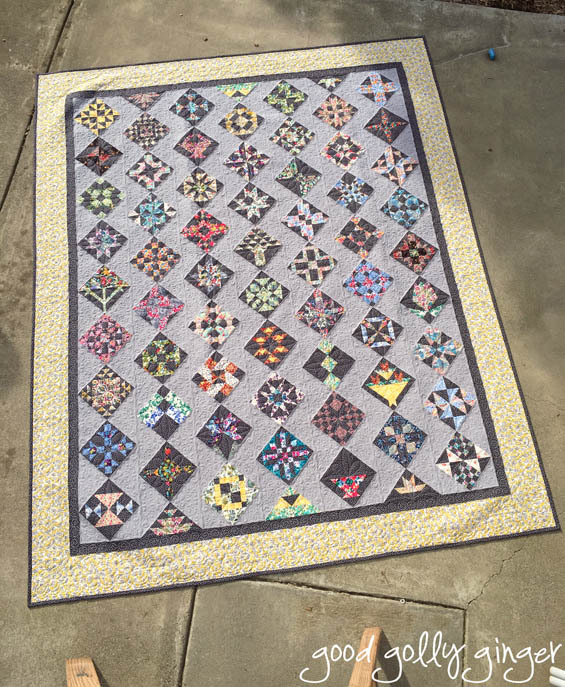 This is my most recent quilty finish! The pattern is by @Projectleasa on Instagram and it is inspired by It's a Small World at Disney. I knew I had to make this because I love Disney (I even worked there when I was in college) so I jumped at the opportunity to test the pattern when Leasa asked for pattern testers a few years ago. Then the top sat because I was scared to quilt it. I finally dove into the quilting this year and I am so glad I finished it! This quilt is by far my favorite quilt that I have made so far! 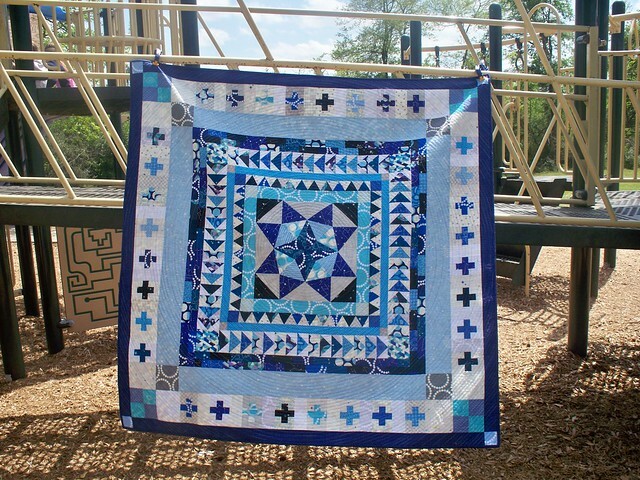 The pattern is the Marcelle Medallion from the book Liberty Love, and the fabrics are a combination of Lizzy House Constellations plus my stash of blues and low volume fabric. I really want to make an entire rainbow of Marcelle Medallions, but that idea is on the back burner until I finish a few other things (like having a baby in 2 months)! I'm working on getting a new Sew Cute Tuesday button made up, and should have it ready by next week. So with that, it is time to link up your projects from the past week! I can't wait to see what everyone is working on or has finished!